Simple clear layout of this theme lets the customers know that the products are more important than the environment. Slider is supplied with image based navigation and astonishing visual effects on image transition. Close-up item images let the visitor examine each jewel in detail. Left sidebar contains Bestsellers and Specials sections. 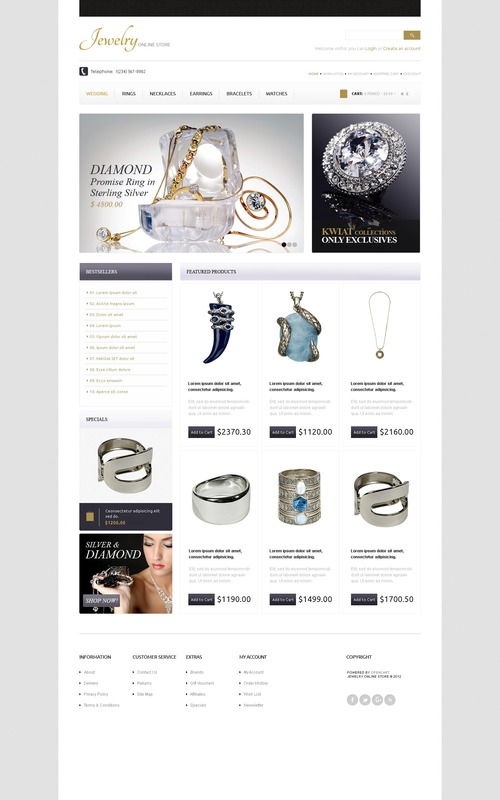 Recently I purchased an opencart template and I am very much satisfied with the template. Then also provide a help file to integrate it. sorry one stupid question is this template ready to put and work? without any programing or i have to write php under template? or is ready page?